Other Thoughts: For the price, it is a great card. I upgraded from a BFG 9800gt and I saw AMAZING performance increase. Sending in my rebate now and hopefully Elitegroup will be quick about it. 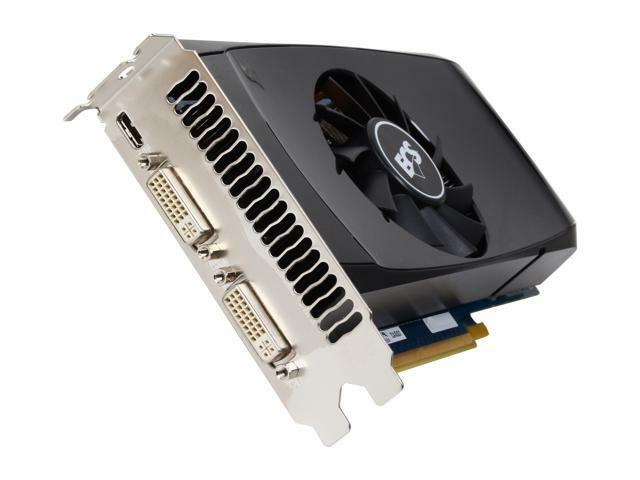 Same price as a 550 ti for better the performance what is not to like. Cons: A little bit louder than my 550 was but the 550 could only ramp up to 72% fan while this one will ramp up to 95% under full load of folding. Other Thoughts: I bought this to replace a 550 Ti that the cat knocked off the counter and broke the PCB when I was cleaning the giant dust bunnies inside the case. I noticed only an extra 15 watts pull from the wall over my 550. I use this card primary for folding, but every now and then I will open solidedge for the laser cutter, and I dont knotice any perforance hits or increases.